Diwali is a festival of lights which is being celebrated by various religions including Hindus, Sikhs and Jains across India. It is one of the most important festivals of Indian culture which should be celebrated every year in the autumn season. This year, Diwali will be celebrated on 7th November 2018 across India. People celebrate Diwali by decorating homes, candling lights, firing crackers and presenting a gift to loved once. 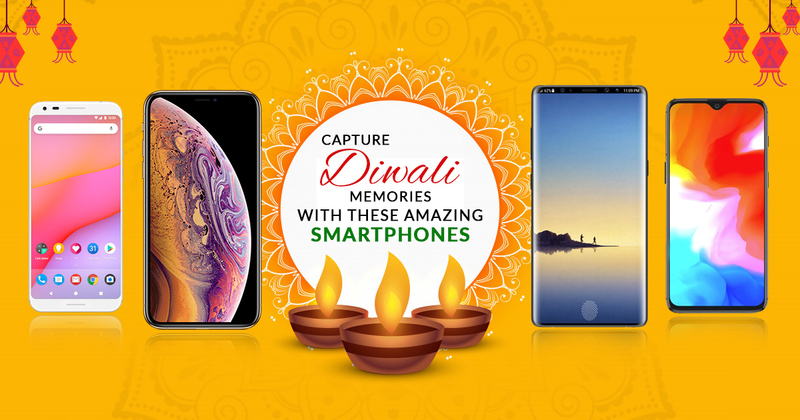 Here is a list of 10 smartphones that you can gift you’re loved once during this Diwali. iPhone XS is the latest offering that has recently been unveiled by Apple at Apple’s launch event on September 12, 2018. It is the first time that Apple has offered dual- sim connectivity options in its 2018 lineup including Apple iPhone XS, XS Max, and XR. iPhone XS has been launched in three variants 64GB, 256GB and 512GB which come with a price tag of Rs 94,900, Rs 1,09,900 and Rs 1,29,900 respectively. 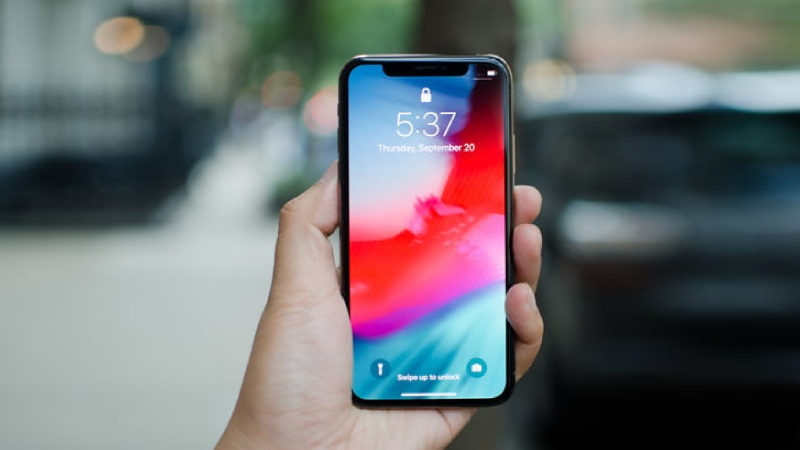 iPhone XS features a 5.8-inch screen display with the screen resolution of 2436 x 1125 pixels. From the software front, it runs on the company-owned A12 Bionic hexacore processor. It has been created with surgical grade stainless steel and glass back panel which looks premium in terms of appearance. For storing content, it gets 4GB of RAM and up to 512GB of internal storage which is touted to be the highest-capacity iPhone ever. Furthermore, iPhone XS comes with advanced 4G LTE support which offers superfast download speeds. iPhone XS is available in three color variants including Gold, Space Grey and Silver. It is the first time that Apple has provided dual cameras on the rear panel in its recently launched 2018 series line up. iPhone XS comes with dual 12MP rear sensors with features like 1.8 wide-angle lenses, f2.4 telephoto lens,10x digital zoom, 2x optical zoom, five portrait lighting effects and TrueTone quad-LED flash. The world’s most popular camera enhances the photography experience. The advanced camera sensors can be operated with ISP and Neural Engine which allows the users to capture photos like never before. The camera app comes with impressive features like Smart HDR, bokeh mode, all-new Depth control which lets users capture better photos. For selfies and video calling, iPhone XS gets 7-megapixel RGB sensor with an aperture of f/2.2. The attractions of iPhone XS include wireless charger, face unlock, water- dust resistance and packs a 2658 mAH lithium-ion battery. The recently launched Samsung Galaxy Note 9 comes with a price tag of Rs 67,900 for 6GB RAM and 128GB internal storage. Samsung had launched the Galaxy Note 9 on August 24, 2018. The all-new S Pen has been created with powerful Bluetooth technology which lets the users operate camera, presentations and apps just by clicking on a single button. 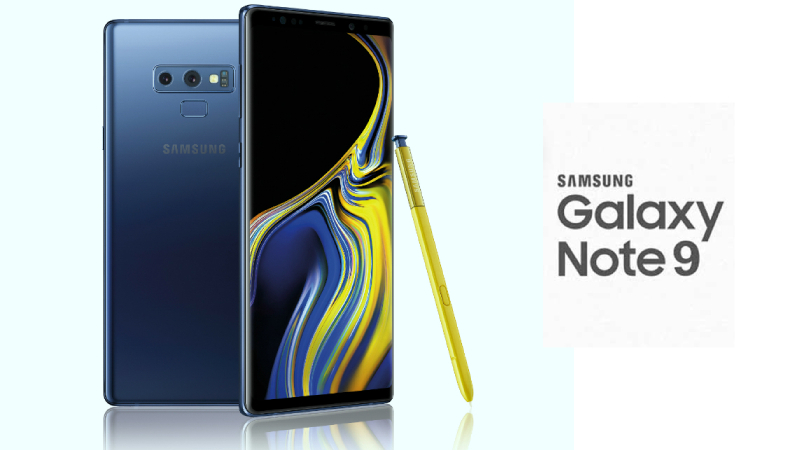 S – Pen lovers obviously impressed with the newly launched Galaxy Note 9 and features a larger 6.4-inch Super AMOLED Infinity Display along with 18.5:9 display ratio and 83.4 percent screen-to-body ratio. From the software front, it runs on Android 8.0 Oreo Operating System. The smartphone gets an Exynos Octa-core processor coupled with 6GB RAM/8GB and 128GB internal storage. The device supports microSD card, dual- SIM (Nano) and data up to 512GB internal storage.The USP of Galaxy Note 9 packs 4000mAH lithium-ion battery which the company claims give power to the device for an entire day on a single charge. It has been launched in three color variants Metallic Copper, Midnight Black and Ocean Blue. It has been certified with IP68 which resist the smartphone from water even after submerging into the water for 30 minutes. Intelligent Scan Feature in Galaxy Note 9 allows the users to unlock the device by using the innovative combination of face recognition and iris scanning. Apart from that, the users can also use fingerprint, a password, a PIN pattern which helps to keep your business documents safer and secure place. For Photography, the Galaxy Note 9 gets dual 12MP cameras on the rear panel with dual apertures F1.5/F2.4 which allows the users to capture remarkable photos in any lights by utilizing two f-stop modes. F1.5 mode helps to brighten up photos during low light conditions, whereas F2.4 mode notifies you that your photos perfectly captured or not, if not it would tell you to capture again. The rear camera setup comes with features like Live focus, HDR for Scene Optimizer, Flaw Detection, OIS, 2x optical zoom which enhances the overall photography experience. For selfies and video calling, the Galaxy Note 9 has an 8MP front-facing camera with an aperture mode of F1.7. Recommended: Samsung Galaxy Note 9: Is It A New Super Powerful Note? 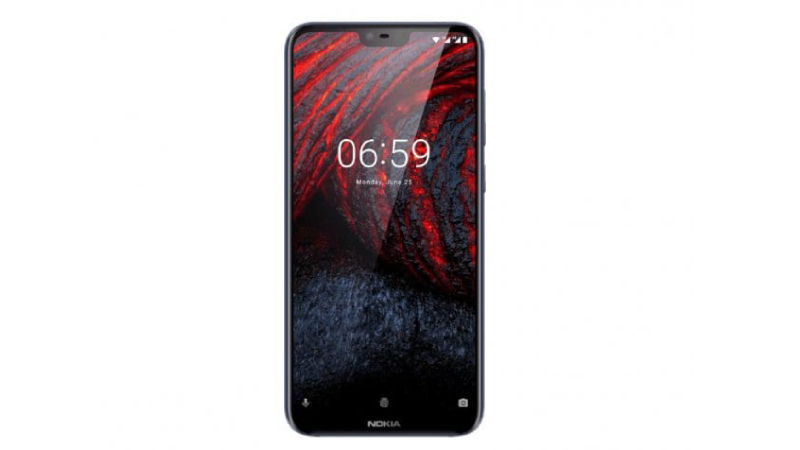 The recently launched Nokia 6.1 Plus has been liked by the customers as its impressive design, features and affordable price. It is one of the best options to gift your loved once during this Diwali. It was unveiled on August 30, 2018, at a price tag of Rs 16,999. During the festive season, the Nokia 6.1 Plus is available for purchase at Rs 15,999 exclusively at Flipkart. Nokia 6.1 Plus has been titled with “Tell Your Story” and features a 5.8 Full HD+ display along with a 19:9 aspect ratio. The smartphone has a bezel-less display around the corners which looks stunning in terms of appearance. The Bezel-less display allows the users to see a movie, video in a bigger screen. It gets a Qualcomm Snapdragon 636 SoC, coupled with 4GB RAM and 64GB internal storage. Further, Micro SD card supports up to 400 GB data. It runs on Android Oreo Operating System. In terms of lens, the Nokia 6.1 Plus packs 16MP+5MP sensors on the rear panel and 16MP front-facing camera. The rear camera setup comes equipped with Artificial Intelligence (AI) capabilities features such as bokeh effect, live filters, stickers and mask with Dual-Sight photos and videos. Further, the live streaming lets users use Facebook or YouTube even without leaving the camera app. It is available in three color options Blue, Black and White. OnePlus 6T is set to launch on 30 October at an event in New York. Alongside the global launch, the Chinese tech giant is also planning to unveil in India. The pre-bookings of much- rumored OnePlus 6T have commenced on Amazon.in. It has been confirmed by OnePlus that the upcoming flagship smartphone could come with under- display fingerprint scanner and water drop notch. 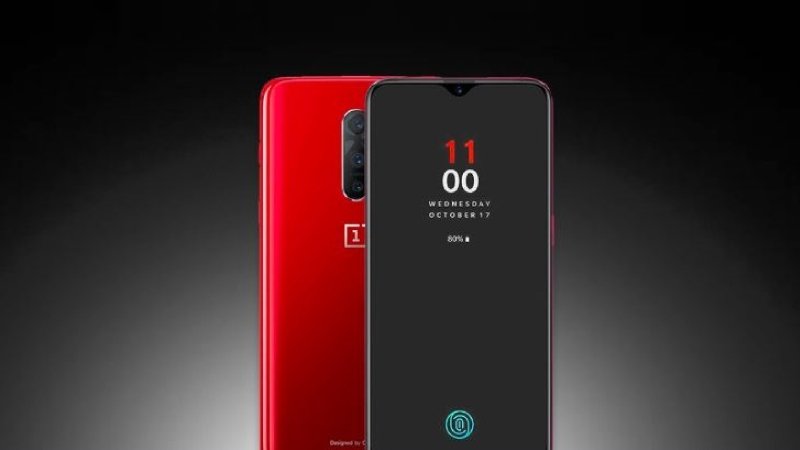 OnePlus 6T is said to feature a 3,700mAh battery, Qualcomm Snapdragon 845 SoC, 6GB/8GB RAM and 64GB/256GB internal storage. It must be noted that the aforementioned specifications are a pinch of salt we get to know the actual specifications at the official launch event which to be scheduled on October 30, 2018. OnePlus is renowned to offer flagship smartphones at an affordable price as compared to Google Pixel, Samsung Galaxy Note 9 and other smartphone players. To lure customers, Xiaomi is famous to offer the mid-range smartphone in the Indian market along with impressive specifications. Mi A2 is a successor of Mi A1 that comes with upgraded specs, camera sensors, AI features to offer something interesting to users. It was launched in India at a price tag of Rs 17,499 and now it is available for purchase at Rs 16,999 at the official website of Xiaomi. It is based on Android One and sports dual 12MP+20MP rear and 20MP front camera. Both of the camera sensors have Artificial Intelligence (AI) powered features like Boke 4-in-1 Super Pixel in low light, AI portrait mode, HDR and more which allow the users to capture stunning photos in Mi A2. It is made up of the metallic body and features a slim- design. 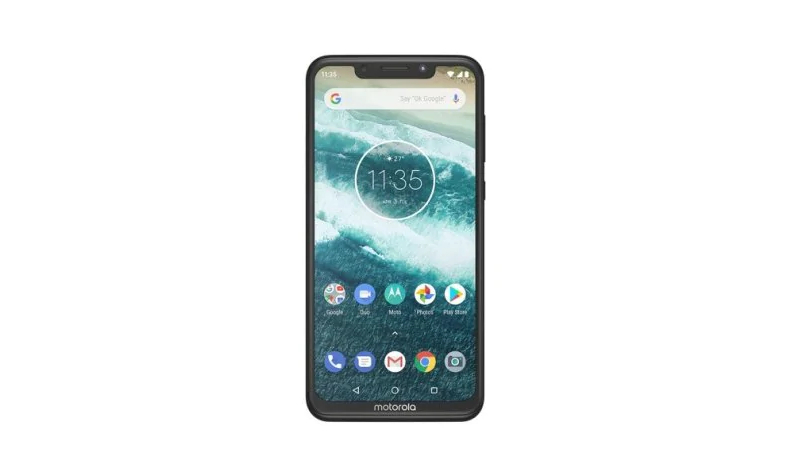 The recently launched Motorola One Power has been liked by the customers and company has gained a great response from the customers since its launch. The launch event was conducted on September 25, 2018. The smartphone will be available in limited quantities so the company has to schedule the flash sale time to time. 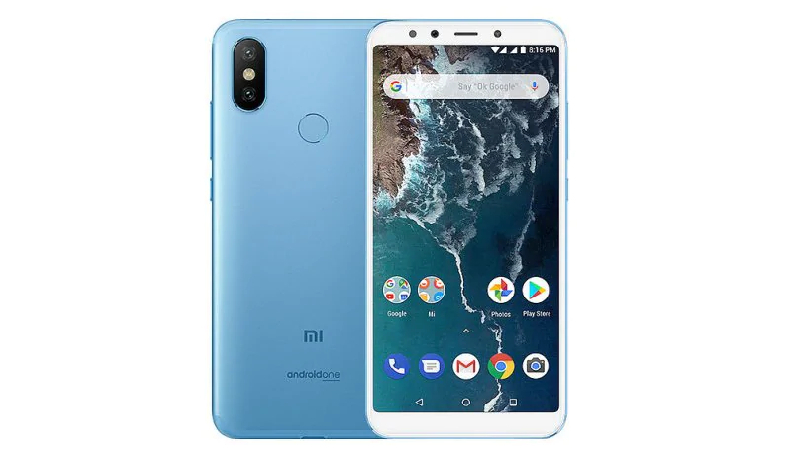 The Motorola One Power is categorized in the list of top selling smartphones as well as rending these days. It has been launched at just Rs 15,999 which is available for purchase exclusively at Flipkart in the form of flash sale. The key attractions of Motorola One Power include edge-to-edge max vision display, 5000 mAh battery, Octa- Core Qualcomm Snapdragon 636 SoC, 16 MP + 5 MP dual rear camera and 12MP front-facing camera, 4GB RAM, 64GB internal storage and micro SD card supports up to 256GB storage on the board. The next flash sale of Motorola One Power has been scheduled on 24th October which is to be made available at Flipkart and the official website of Motorola.Motorola One Power is one of the great options to gift your loved once this Diwali. The new Google Pixel 3 smartphone by Google that comes with lots of amazing features. The device has a 5.4-inch AMOLED Capacitive touchscreen display with a resolution of 1080X2160 pixel. The handset is powered by a Qualcomm SDM845 Snapdragon 845 processor coupled with 6GB of RAM and 64/128GB of internal memory. 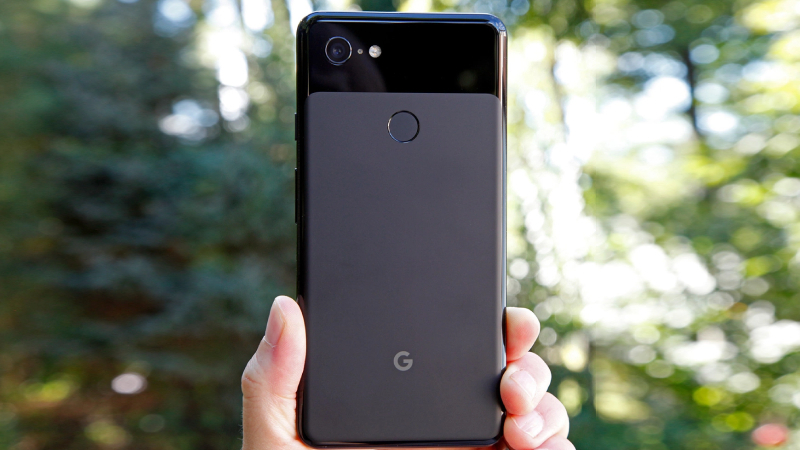 The pixel 3 packs a 12.2-megapixel rear camera with 8+8-megapixel dual-fronhttp://www.sagmart.com/mobile/google-pixel-3-specifications/t shooter for selfies. The single-SIM mobile runs on the Android 9.0 operating system. Top sensors on the device include Face unlock, Fingerprint sensor, Compass/ Magnetometer, Proximity sensor, Accelerometer, Ambient light sensor, and Gyroscope. It looks like LG V40 ThinQ would run on Android 9.0(Pie) and armed with a 3,300 mAh battery. The flagship smartphone would come with triple lens camera on the rear panel and also supports wireless charging. 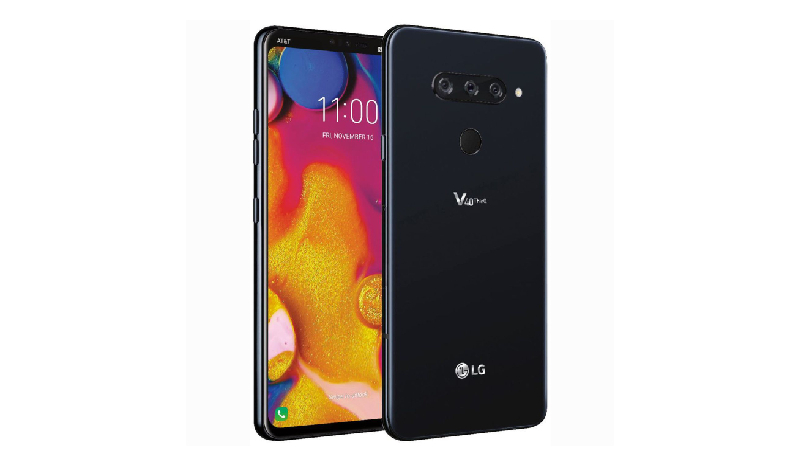 So far, the leaks have suggested that the LG V40 ThinQ will have dual cameras on the front panel including 8-megapixel and 5-megapixel sensors. 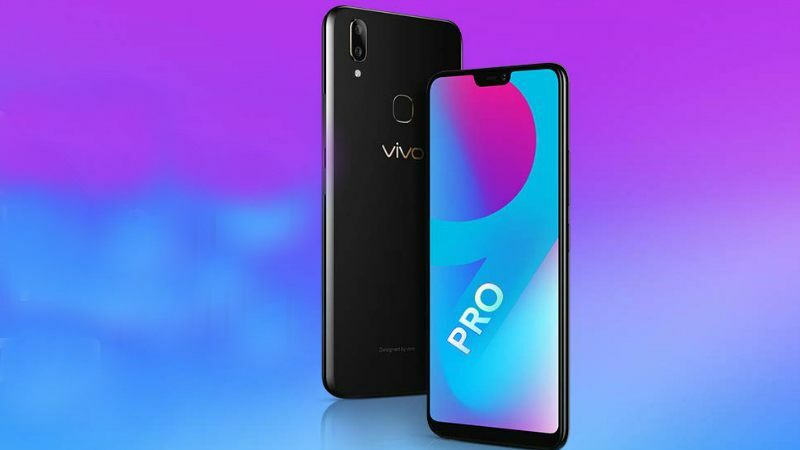 Vivo V9 Pro phone was launched in September 2018 and available with the price tag of Rs. 17,990. The smartphone has a 6.3-inch Full-HD+ Capacitive touchscreen (1080 x 2280 pixels) display. The powered by the hexa-core processor with 6GB of RAM and 64 GB inbuilt storage space, further expandable up to 256GB via a microSD card. The Vivo V9 Pro packs a 13+2-megapixel dual primary camera and 16MP front shutter for selfies. The dual-SIM (GSM and GSM) smartphone runs on Android 8.1 Oreo OS and sports a 3260mAh non-removable battery. On the connectivity options include Wi-Fi, GPS, Bluetooth, USB OTG, FM, 3G, and 4G. Read More: Oppo F7 vs Vivo V9: Which One is Better? After getting the good response from Redmi 5 Pro, Xiaomi has launched the Redmi 6 Pro in the Indian market at a starting price of Rs 10,999 for 3GB RAM+32GB internal storage and goes up to Rs 12,999 for 4GB RAM and 64GB Internal Storage. Redmi 6 Pro is available in Red, Rose Gold, Gold, Blue and Black color options. 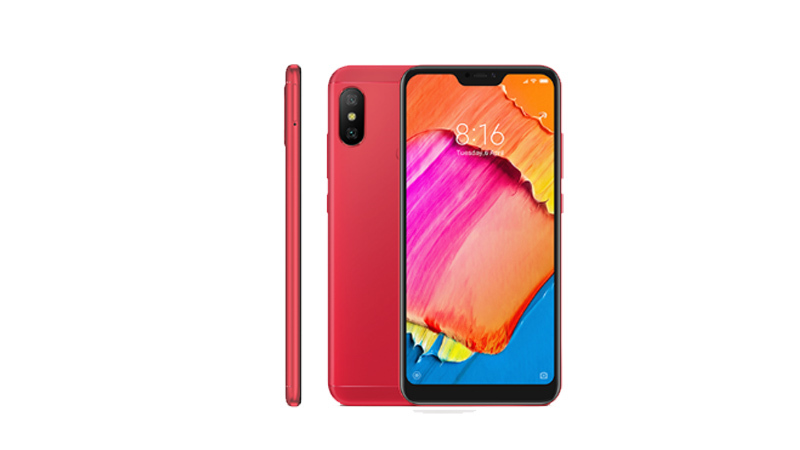 The key highlights of the recently launched Redmi Pro include AI face unlock + Fingerprint sensor, dual 12MP + 5 MP rear camera with AI features, a larger 4000 mAh battery, 625 octa-core Qualcomm Snapdragon processor, supports dual SIM cards (Nano), microSD card. It is available for purchase exclusively at Amazon.in and Xiaomi official website.